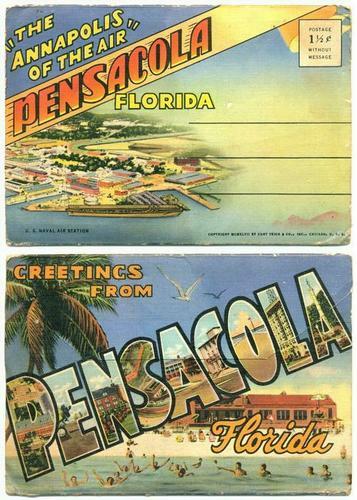 Greetings from PENSACOLA Florida ... 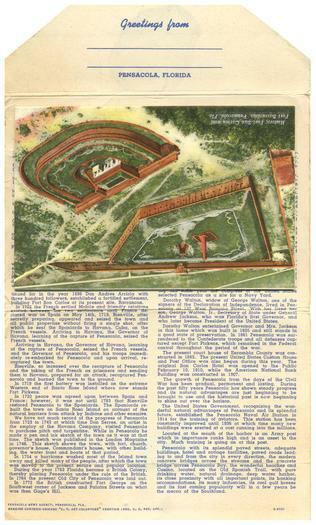 The "Annapolis of the Air"
Souvenir Folder with 18 fan-folded views. D-8551. Copyright MCMXLVII by Curt Teich & Co. Pensacola News Agency. The linen wrapper has corner and edge wear (see image). The fanfolded views are in great condition with no visible wear.